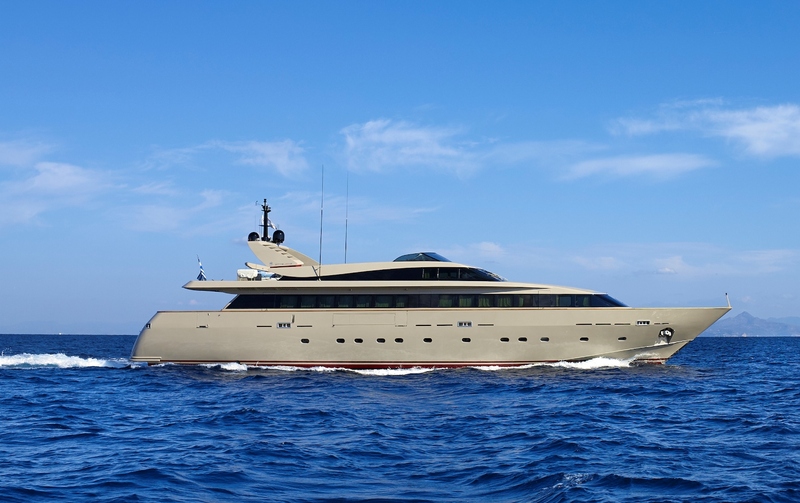 DALOLI (ex: WIZARD) is a 36.58m (120ft) Baglietto from 1998 that has benefitted from extensive refits in both 2016 and 2017, she accommodates up to 12 charter guests in 5 sumptuous cabins. 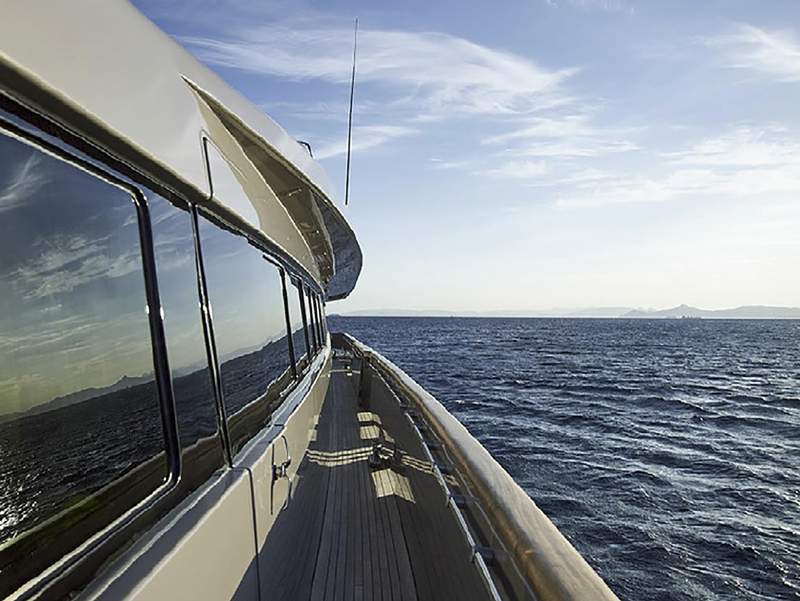 DALOLI is a spectacular combination of classic elegance with modern furnishings. 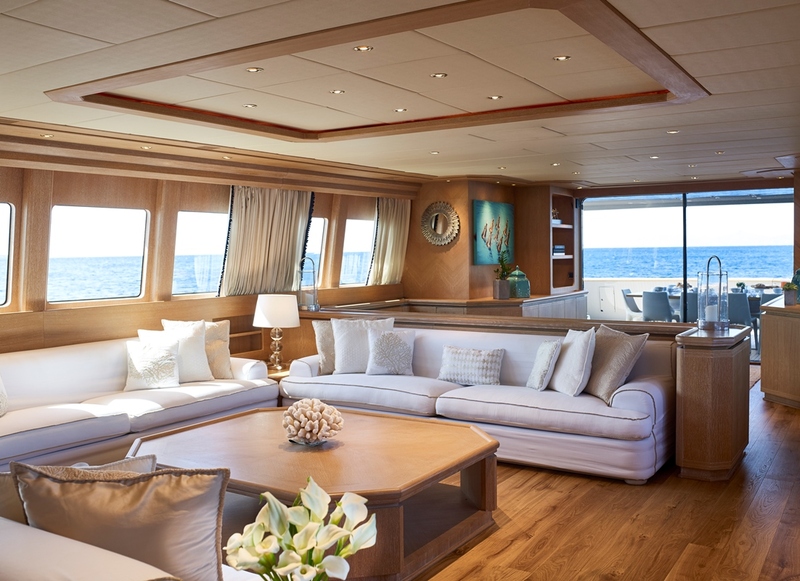 Her decor combines light glossy and mat timbers with soothing tones of cream and taupe, themed with artwork and sculptures that remind the ocean. 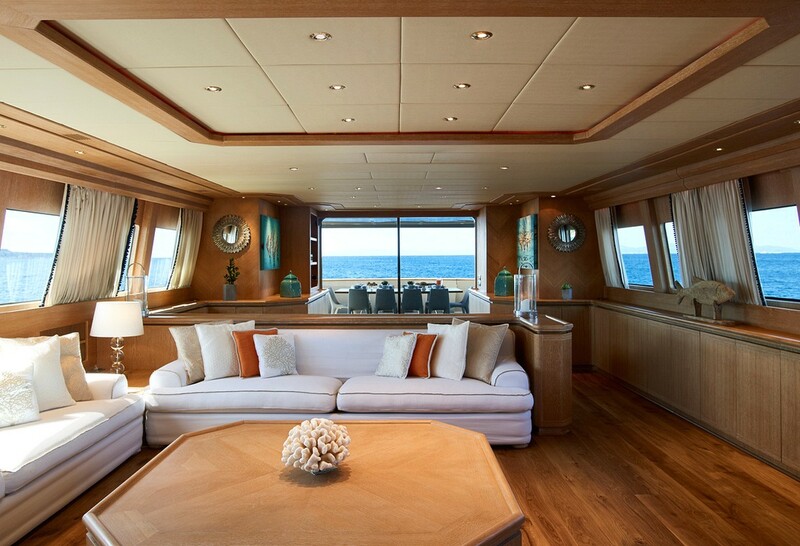 The salon of this luxurious motor yacht is welcoming and bright, with large windows all around that let in lots of natural light. Upon entrance, you are greeted by two comfortable armchairs, before accessing the main seating area that is composed of three ample and comfortable sofas around a large coffee table. 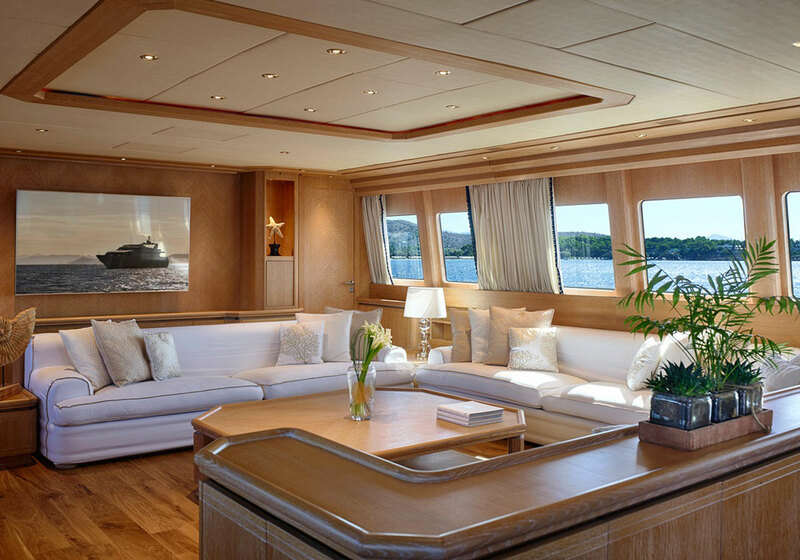 Forward of the salon is a day head and stairs leading down to the 5 generous cabins, as well as a separate dining room and large galley. 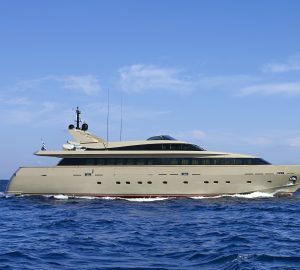 Her exteriors are remarkable, with a golden painted hull and teak decks throughout. 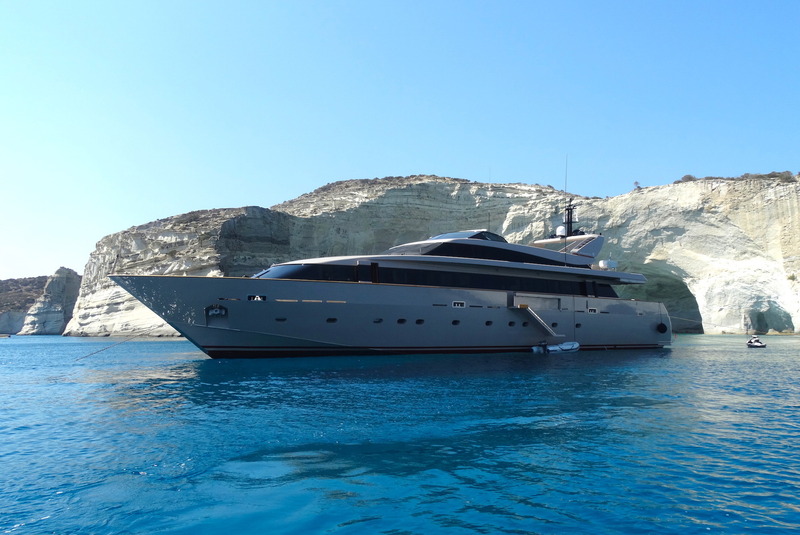 She has an extra-large hydraulic swimming platform, ideal to enjoy basking in the sun or for effortless access to the wonderful assortment of water toys on offer. 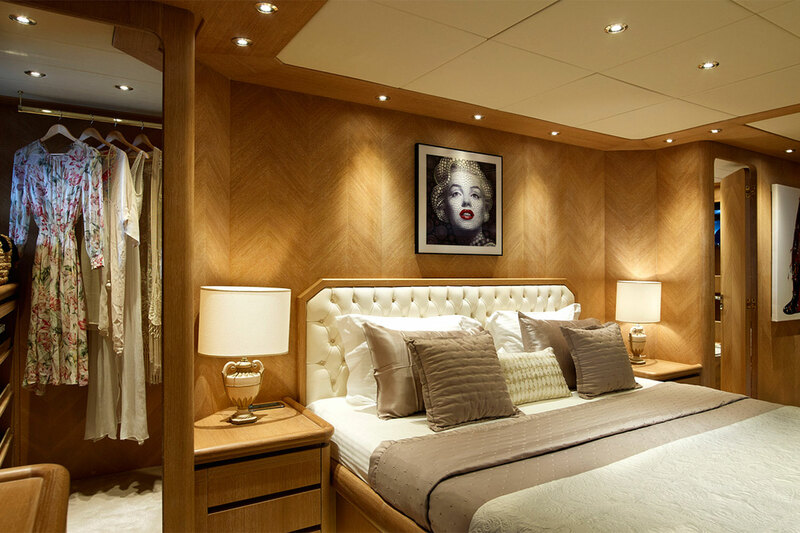 Guests will be able to socialize or dine alfresco on the massive main aft deck or take advantage of the superb sundeck. 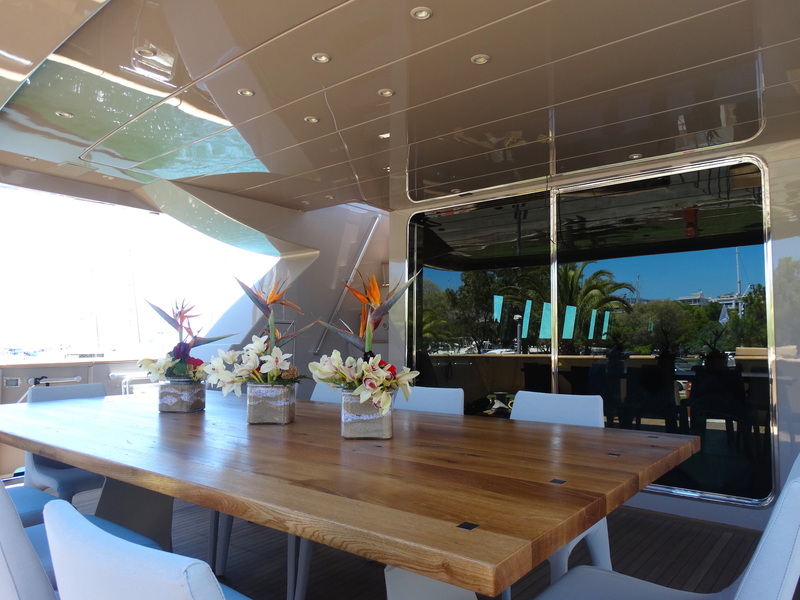 The latter boasts a bar, an additional alfresco dining area, sun lounges, and a shade awning, perfect for relaxation and entertainment with family and friends. 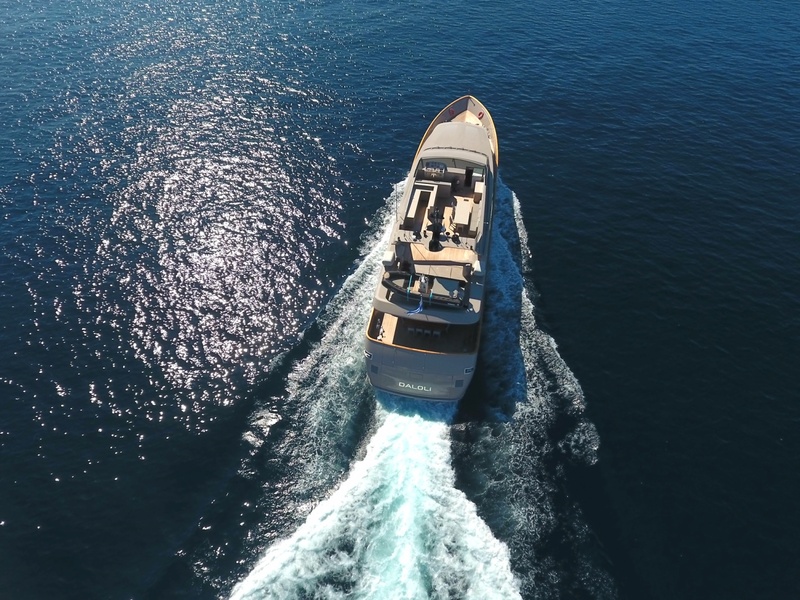 With her 2 x MTU 2.250 HP engines and her aluminum planing hull, this RINA class yacht cruises comfortably at 23 knots with top speeds of 28 knots. 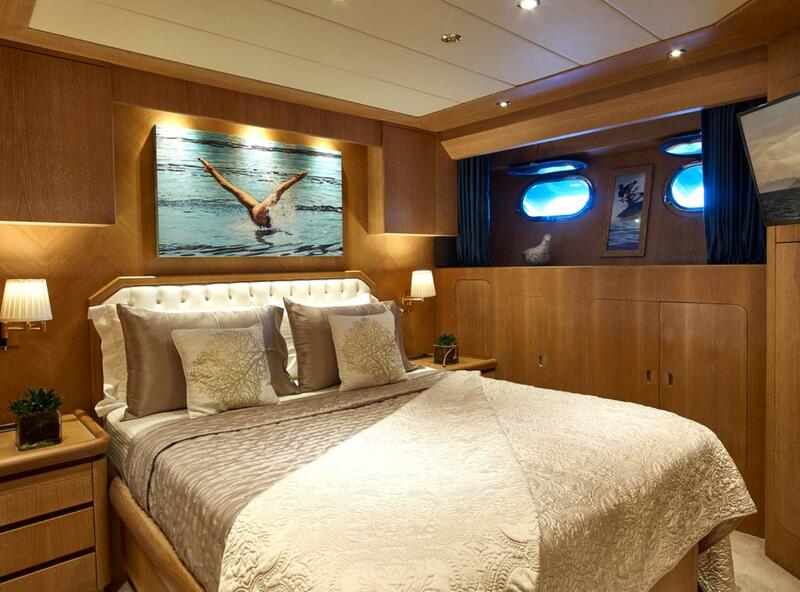 Ideally configured for families and large groups, all 5 cabins comprise their own TV and private ensuite bathrooms. 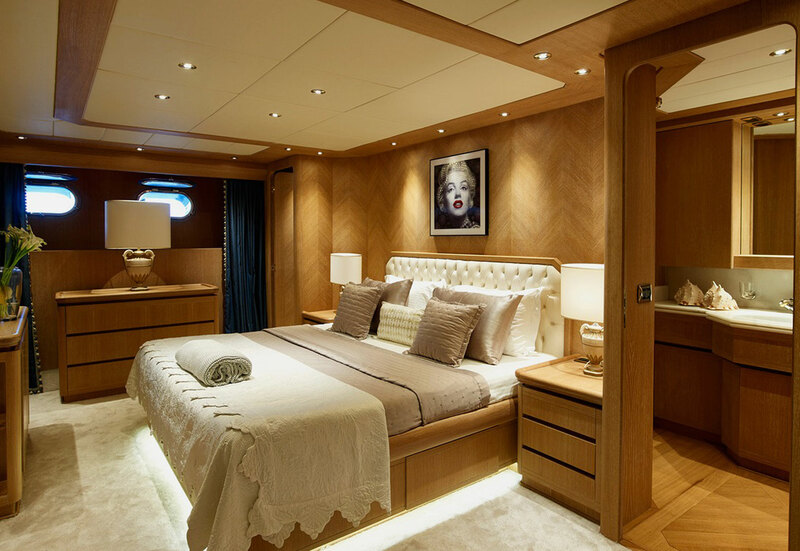 The very spacious master suite is full beam of the yacht and comprises a King Size bed, a desk, a sofa and ample storage. 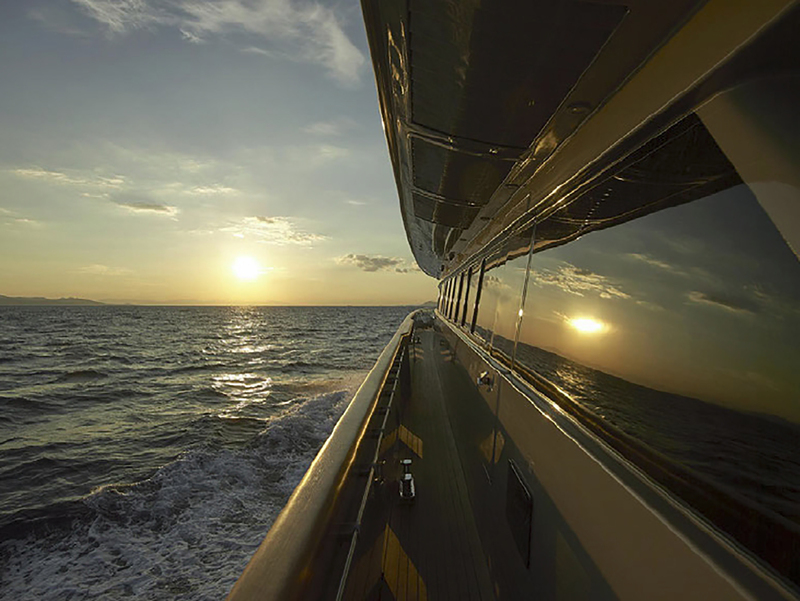 The 2 Twin cabins each have an extra Pullman whilst the 2 VIP suites boast a double bed and a desk each.